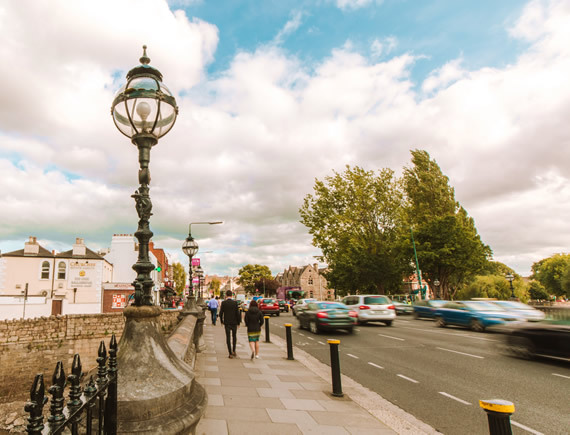 With its tree-lined avenues and beautiful Victorian red-brick estates, it's hard to believe that the bustling village of Ballsbridge is just a stone's throw from Dublin city centre. A three-arch stone bridge built in 1791 over the River Dodder marks the entrance to the pretty suburb which hosts numerous embassies and diplomatic residencies, a leading conference and events arena and one of the oldest rugby grounds in the world, as well as award-winning cafes, bars and restaurants. Named for the Ball family of merchants that traded in the 16th and 17th century, Ballsbridge emerged from the marsh and mud flats of the Dodder valley and by the 1700s had a working cotton printer, paper mill and gun powder factory. At the turn of the 19th century, it had become a stopping point in and out of Dublin city and in 1816, the area was bequeathed to the 11th Earl of Pembroke and became known as the Pembroke Estate. The Earl sought to turn the estate into an inner city suburb that would attract local gentry, merchants and professionals and began leasing parts of it to institutions and industry. In 1806, Trinity College developed the Botanic Gardens in the area for the use of staff and students, and in 1827, the Beggar’s Bush army barracks, established and used as a recruiting depot by the British army. This influx required new infrastructure and, in 1870, Lansdowne Road and Ballsbridge railway station was opened. Lansdowne Football Club was founded in 1872, and six years later the first rugby international was played between Ireland and England, making it the world's oldest rugby union Test venue. Playing in poor weather conditions, Ireland failed to score and England won with 'two goals' and one try, in front of crowd of 2,000.
Leisure and learning were of equal importance and in 1879, the Royal Dublin Society merged with the Royal Agricultural Society, and leased their present site at Ballsbridge and held their inaugural show in the early 1880s. 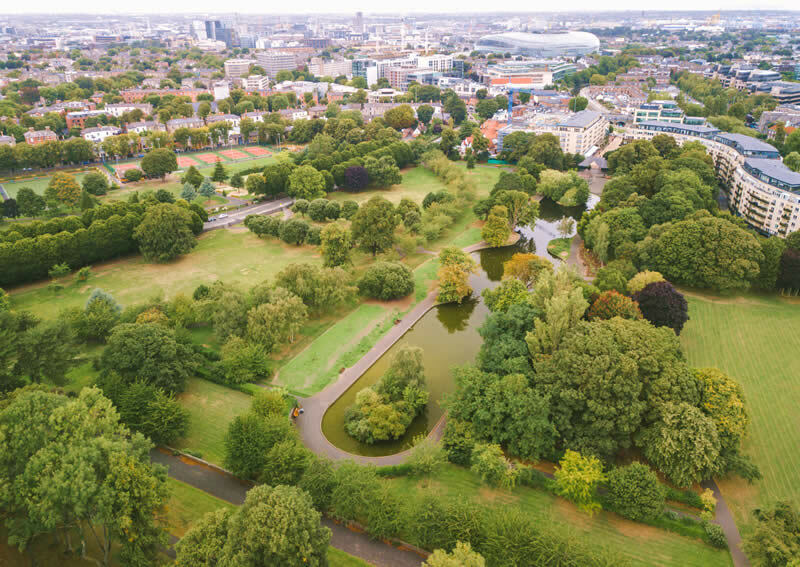 In 1903, land formerly known as the ‘Forty Acres’ was gifted to the public by the Pembroke family to establish Herbert Park, the site of the Dublin International exhibition in 1907. The exhibition ran from May to November and was visited by King Edward VII and his wife Alexandra and an estimated 3 million visitors. The exhibition was designed to highlight Irish trade and commerce with amusements for the public including a large water chute, the pool of which remains to this day as the Park pond. The Johnston, Mooney & O’Brien bakery was founded in 1889 along the Dodder River and it was the first bakery to wrap bread in 1925, and the first to introduce the sliced pan thirteen years later. In the 1950s, the bakery was taken over by Odlums, and in 1989 the site was sold. In its place stands The Herbert Park Hotel. In 1965, Trinity decided to close their Botanic Gardens and another hotel was built on the site, the former Berkeley Court Hotel. A notable Ballsbridge landmark is the iconic U.S. Embassy. Designed in 1955 by John Johansen, Professor of Architecture in Yale, the project was mired in controversy with Representative John Rooney of Brooklyn describing Ballsbridge as ‘a slum’! Johansen showed his designs to the newly inaugurated President Kennedy and ground was broken in 1962, with building completed in May 1964, shortly after President Kennedy’s assassination. 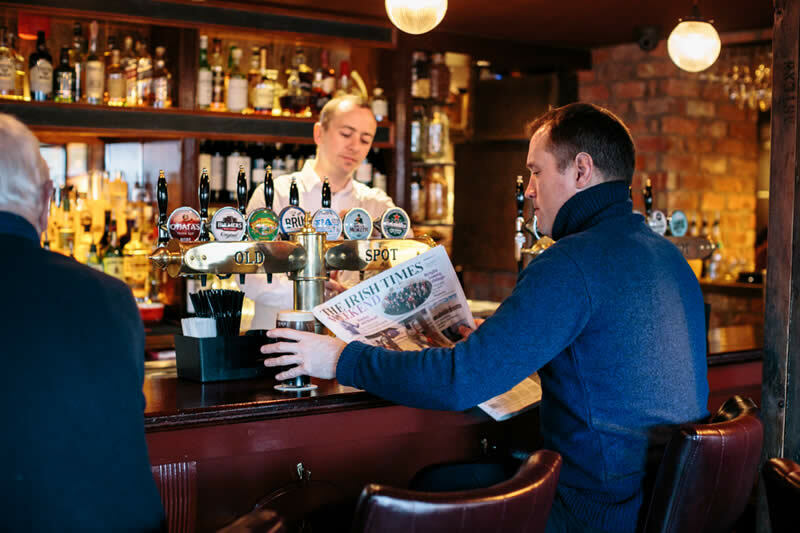 Ballsbridge enjoys the many advantages of sitting on the cusp of the capital: This quiet and friendly residential suburb is a short hop from the city centre, and all that it offers, and is serviced by the DART and a number of bus routes. The village has a number of restaurants, cafes and bars that cater to all tastes, while the array of hotels means guests and overseas employees have a wide choice. 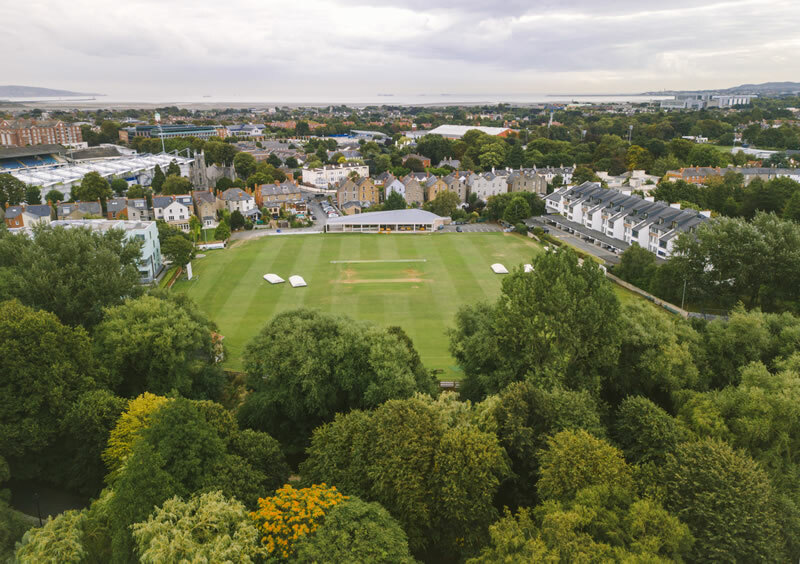 There are endless leisure activities available with the RDS hosting regular music, sporting, educational and lifestyle events, a range of sporting clubs in the area, and the beautiful 32-acre Herbert Park. 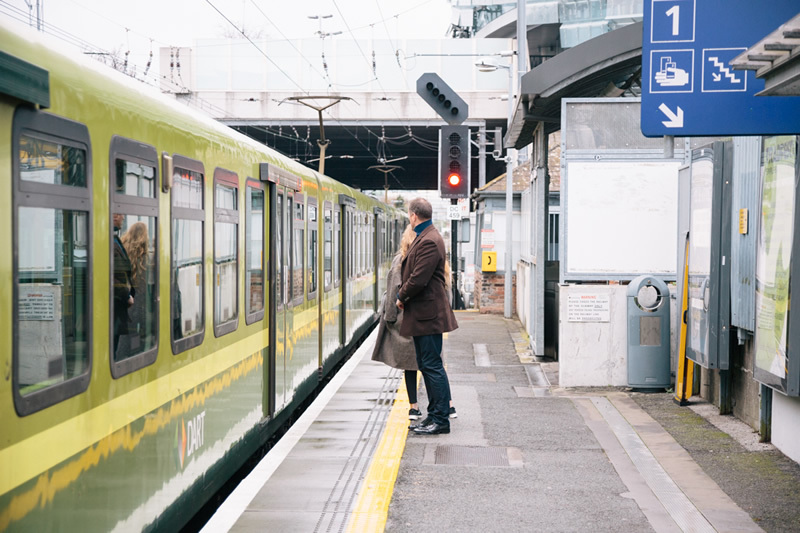 Ballsbridge is served by three stops along the Dart local railway service: Lansdowne Road, Sandymount and Sydney Parade. The DART connects directly with the main Dublin regional train stations, Connolly and Heuston. Several bus routes travel through the village including the 4, 7 and 18. Aircoach, the bus from Dublin airport, operate an hourly service with a journey time of about 30 mins. Two main roads leading in and out of Dublin city bookend the village offering exceptional access. The Royal Dublin Society (RDS) was founded in 1731 to promote and develop Irish agriculture, arts, industry and science. Originally located in the city centre, the RDS moved to the newly developed Ballsbridge in 1879, leasing 15 acres of land. 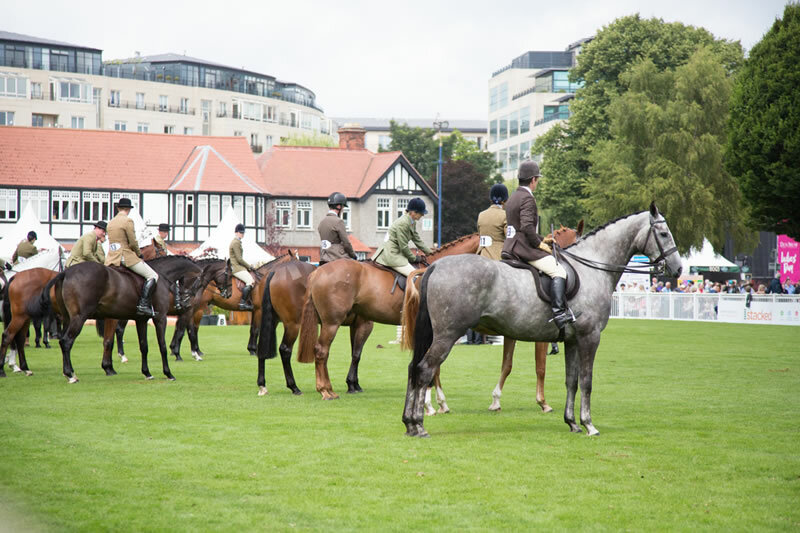 In 1926, the RDS held the first Aga Khan Trophy contest during its annual Horse Show and the Trophy has since become the world's most prestigious show jumping contest. In recent years, the RDS has widened its events programme with music concerts, fun fairs, rugby matches, art exhibitions, fashion and craft fairs and ice skating rinks just a small selection of its offering. The first international rugby match was held at Lansdowne Road Stadium as early as 1878, making it one of the oldest stadiums in the world. The first stand was added in 1908 and the stadium has been the home of Irish rugby until it was demolished in 2007 and replaced with a new, state-of-the-art stadium with a capacity for over 51,000 spectators. 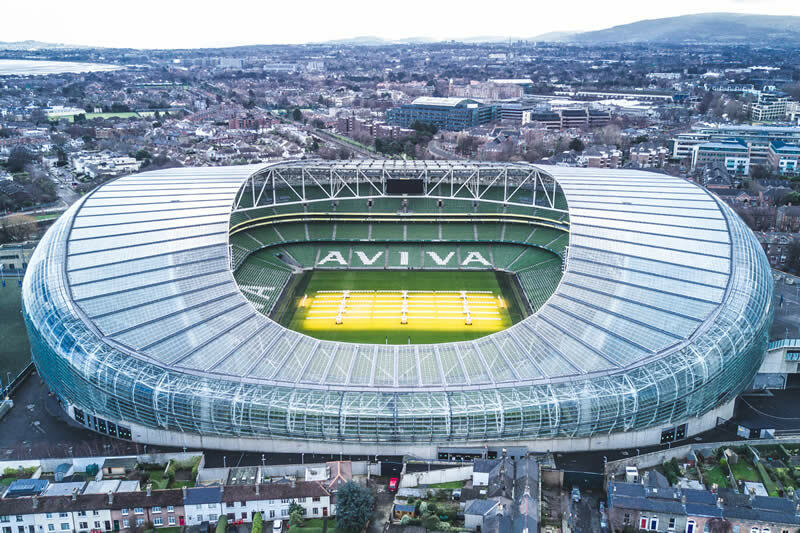 Following a sponsorship deal with insurance company, Hibernian Aviva, the Lansdowne Road site is now called the Aviva Stadium. As well as sporting fixtures, the stadium also hosts music concerts and conferences. The stadium is well served by transport links with a nearby train station and several bus routes. Herbert Park was named for Sidney Herbert, the father of the Earl of Pembroke, who offered the land to the local council. The park is an urban oasis covering 32 acres, with some fixtures dating back as far as 1907. With an all-weather multi-use pitch, sports fields, croquet lawns, allotments and a children's playground, it is a popular spot for families, workers enjoying an al fresco lunch and sports enthusiasts. It also hosts regular events throughout the year. A number of foreign embassies in Dublin have chosen to locate in Ballsbridge, no doubt due to its picturesque and convenient location, including the U.S. Embassy in Ireland, the British Embassy, the Embassy of Italy, the Embassy of Spain, the Polish Embassy and the Embassy Of The Netherlands. Bloomsday celebrates the day depicted in James Joyce's novel, Ulysses, and is named for the central character, Leopold Bloom. Thursday, 16 June, 1904 was significant to Joyce as it was when he began courting Nora Barnacle, the woman who would become his wife. Joyce was renting a room at the time in a house at 60 Shelbourne Road, Ballsbridge. In the 1940s and 50s, the writer Brendan Behan lived in Ballsbridge, as did the poet Patrick Kavanagh (notably at 63 Pembroke Road); their busts are on display in pubs along Pembroke Road: Searson's and the Wellington. Kavanagh wrote his famous song On Raglan Road about a girl he met on that street in 1944.